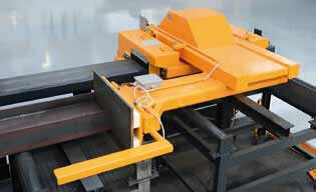 CNC technology has revolutionized the fabrication of structural steel during the past 20 years in many areas. Historically, this technology started with the automation of layout and the production of holes in structural steel beams and later grew into the area of the automatic production of angle and plate detail. 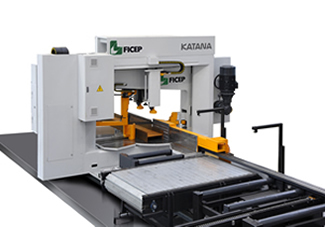 Ficep has taken this proven CNC technology to the next level by incorporating this into their automated band saws that are designed and manufactured by Ficep specifically to process structural steel. 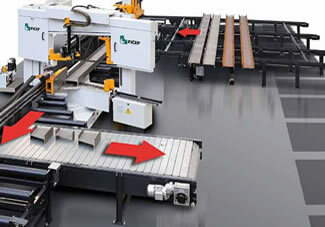 The incorporation of CNC automation into a band saw for "Intelligent Fabrication" permits productivity and performance that is not possible with band saws that are designed to not just accommodate structural steel but also solids, for example. 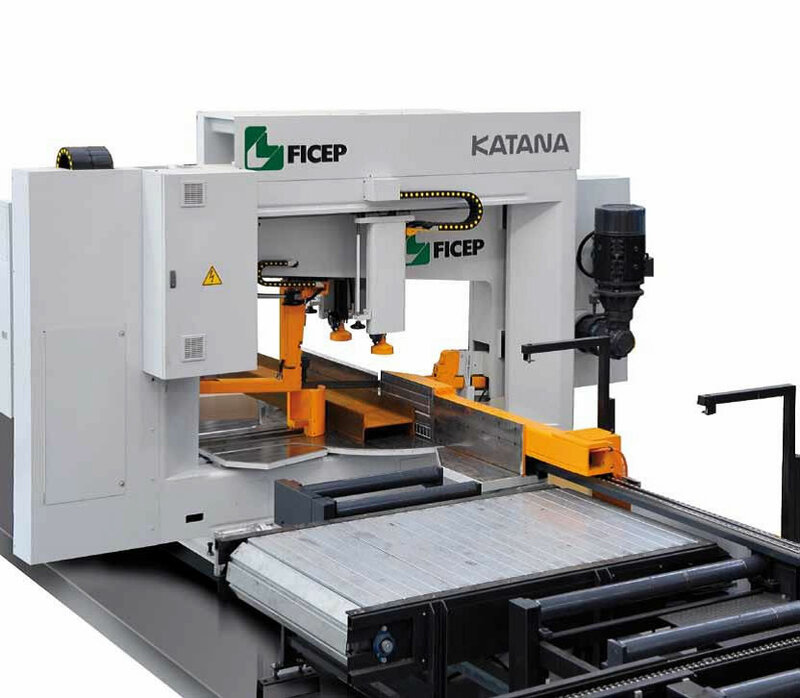 Ficep's "Intelligent Fabrication" technology automates the sawing technology to incorporate the removal of trim cuts, short parts and the trailing drop to permit full automation without direct operator involvement. Ficep offers in plant consulting services to achieve the most ideal layout with related material handling equipment for your existing facility. 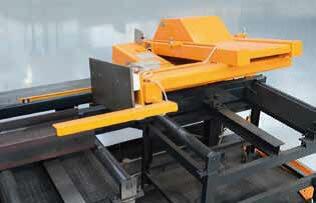 A CNC measuring stop can be furnished to automate the cutting and measuring operation of both single and bundled material. Maximum width 24" 40" 44" 49" 78" 100"
Maximum height 12-1/8" 17-3/4" 20" 24" 24" 32"
Blade width 1.34" 1.6" 2" 2.63" 2.63" 2.63"
In addition to fully automatic band saw solutions with integrated measuring and material handling Ficep also offers a full range of stand-alone band saws that are specifically designed to process structural steel. 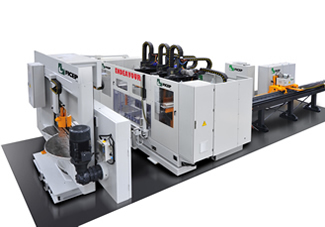 Even the stand-alone band saws incorporate many of the automatic features of our "Intelligent Fabrication" sawing solutions. These features are incorporated into an automatic cut cycle that adjust by program selection to the required section to be processed including even the miter angle.